Uganda’s refugee policy urgently needs an honest discussion, if sustainable solutions for both refugees and host communities are to be found, a new policy paper by International Refugee Rights Initiative (IRRI) reveals. 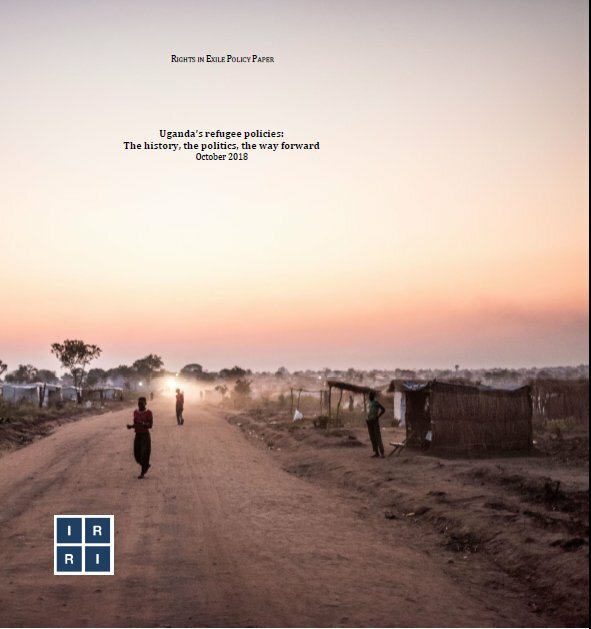 The paper, entitled Uganda’s refugee policies: the history, the politics, the way forward puts the “Ugandan model” in its historical and political context, shines a spotlight on its implementation gaps, and proposes recommendations for the way forward. 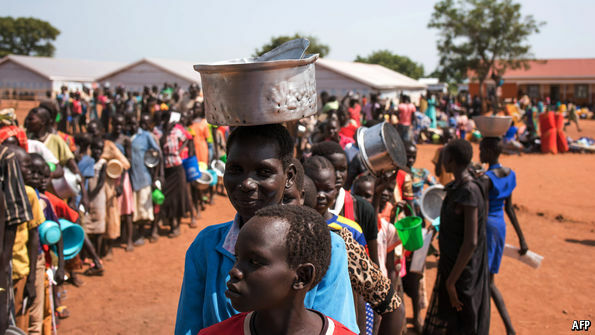 Uganda has since 2013 opened its borders to hundreds of thousands of refugees from South Sudan, bringing the total number of refugees to more than one million. It has been praised for its positive steps on freedom of movement and access to work for refugees, going against the global grain. But generations of policy, this paper shows, have only entrenched the sole focus on refugee settlements and on repatriation as the only viable durable solution. Support to urban refugees and local integration have been largely overlooked. There is a danger that the promotion of progressive refugee policies becomes more rhetoric than reality, creating a smoke-screen that squeezes out meaningful discussion about robust alternatives. Policy-making has come at the expense of real qualitative change on the ground. Local integration and access to citizenship have been virtually abandoned, leaving voluntary repatriation as the only solution on the table. Given the protracted crises in South Sudan and Democratic Republic of Congo, this remains unrealistic. Host communities remain unheard, with policy conversations largely taking place in Kampala and Geneva. Many Ugandans and refugees have neither the economic resources nor sufficient political leverage to influence the policies that are meant to benefit them. First, international donors need to deliver on their promise of significant financial support. Second, repatriation cannot remain the only serious option on the table. There has to be renewed discussion on local integration with Uganda communities and a dramatic increase in resettlement to wealthier states across the globe. Third, local communities hosting refugees must be consulted and their voices incorporated in a more meaningful and systematic way, if tensions within and between communities are to be avoided. Fourth, in order to genuinely enhance refugee self-reliance, the myth of the “local settlement” needs to be debunked and recognized for what it is: the ongoing isolation of refugees and the utilization of humanitarian assistance to keep them isolated and dependent on aid. Global policies that aim to resettle and integrate displaced populations into local societies is providing a way forward. For many years now, groups that work with refugees have fought to put an end to the refugee camp. It’s finally starting to happen. Camps are a reasonable solution to temporary dislocation. But refugee crises can go on for decades. Millions of refugees have lived in their country of shelter for more than 30 years. Two-thirds of humanitarian assistance — intended for emergencies — is spent on crises that are more than eight years old. Camps are stagnant places. Refugees have access to water and medical care and are fed and educated, but are largely idle. “You keep people for 20 years in camps — don’t expect the next generation to be problem-free,” said Xavier Devictor, who advises the World Bank on refugee issues. “Keeping people in those conditions is not a good idea.” It’s also hard to imagine a better breeding ground for terrorists. “As long as the system is ‘we feed you,’ it’s always going to be too expensive for the international community to pay for,” Mr. Devictor said. It’s gotten more and more difficult for the United Nations High Commissioner for Refugees to raise that money; in many crises, the refugee agency can barely keep people from starving. It’s even harder now as nations turn against foreigners — even as the number of people fleeing war and violence has reached a record high. At the end of last year, nearly 70 million people were either internally displaced in their own countries, or had crossed a border and become a refugee. That is the largest number of displaced in history — yes, more than at the end of World War II. The vast majority flee to neighboring countries — which can be just as badly off. Last year, the United States accepted about 30,000 refugees. Uganda, which is a global model for how it treats refugees, has one-seventh of America’s population and a tiny fraction of the wealth. Yet it took in 1,800 refugees per day between mid-2016 and mid-2017 from South Sudan alone. And that’s one of four neighbors whose people take refuge in Uganda. Bangladesh, already the world’s most crowded major nation, has accepted more than a million Rohingya fleeing ethnic cleansing in Myanmar. “If we can feed 160 million people, then (feeding) another 500,00-700,000 …. We can do it. We can share our food,” Shiekh Hasina, Bangladesh’s prime minister, said last year. Lebanon is host to approximately 1.5 million Syrian refugees, in addition to a half-million Palestinians, some of whom have been there for generations. One in three residents of Lebanon is a refugee. The refugee burden falls heavily on a few, poor countries, some of them at risk of destabilization, which can in turn produce more refugees. The rest of the world has been unwilling to share that burden. But something happened that could lead to real change: Beginning in 2015, hundreds of thousands of Syrian refugees crossed the Mediterranean in small boats and life rafts into Europe. Suddenly, wealthy European countries got interested in fixing a broken system: making it more financially viable, more dignified for refugees, and more palatable for host governments and communities. In September 2016, the United Nations General Assembly unanimously passed a resolution stating that all countries shared the responsibility of protecting refugees and supporting host countries. It also laid out a plan to move refugees out of camps into normal lives in their host nations. Donor countries agreed they would take more refugees and provide more long-term development aid to host countries: schools, hospitals, roads and job-creation measures that can help both refugees and the communities they settle in. “It looked at refugee crises as development opportunities, rather than a humanitarian risk to be managed,” said Marcus Skinner, a policy adviser at the International Rescue Committee. The General Assembly will vote on the specifics next month (whatever they come up with won’t be binding). The Trump administration pulled out of the United Nations’ Global Compact on Migration, but so far it has not opposed the refugee agreement. There’s a reason refugee camps exist: Host governments like them. Liberating refugees is a hard sell. In camps, refugees are the United Nations’ problem. Out of camps, refugees are the local governments’ problem. And they don’t want to do anything to make refugees comfortable or welcome. So far, efforts to integrate refugees have had mixed success. The first experiment was a deal for Jordan, which was hosting 650,000 Syrian refugees, virtually none of whom were allowed to work. Jordan agreed to give them work permits. In exchange, it got grants, loans and trade concessions normally available only to the poorest countries. However, though the refugees have work permits, Jordan has put only a moderate number of them into jobs. Any agreement should include the views of refugees from the start — the Jordan Compact failed to do this. Aid should be conditioned upon the right things. The deal should have measured refugee jobs, instead of work permits. Analysts also said the benefits should have been targeted more precisely, to reach the areas with most refugees. To spread this kind of agreement to other nations, the World Bank established a $2 billion fund in July 2017. The money is available to very poor countries that host many refugees, such as Uganda and Bangladesh. In return, they must take steps to integrate refugees into society. The money will come as grants and zero interest loans with a 10-year grace period. Middle-income countries like Lebanon and Colombia would also be eligible for loans at favorable rates under a different fund. Over the last 50 years, only one developing country has granted refugees full rights. 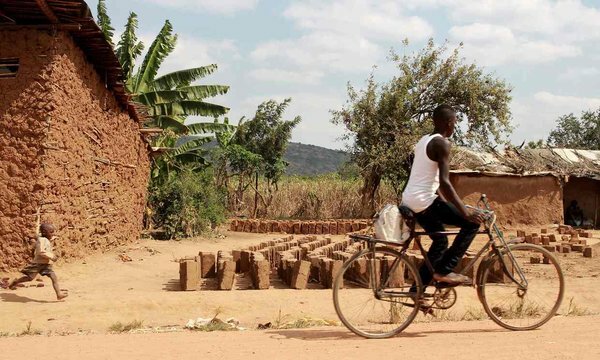 In Uganda, refugees can live normally. Instead of camps there are settlements, where refugees stay voluntarily because they get a plot of land. Refugees can work, live anywhere, send their children to school and use the local health services. The only thing they can’t do is become Ugandan citizens. This is the model the United Nations wants the world to adopt. But it is imperiled even in Uganda — because it requires money that isn’t there. The new residents are mainly staying near the South Sudan border in Uganda’s north — one of the least developed parts of the country. Hospitals, schools, wells and roads were crumbling or nonexistent before, and now they must serve a million more people. Refugees are going without food, medical care and water. The plots of land they get have grown smaller and smaller. The World Bank has so far approved two projects — one for water and sanitation and one for city services such as roads and trash collection. But they haven’t gotten started yet. Most refugee crises are not surprises, Mr. Devictor said. “If you look at a map, you can predict five or six crises that are going to produce refugees over the next few years.” It’s often the same places, over and over. That means developmental help could come in advance, minimizing the burden on the host. “Do we have to wait until people cross the border to realize we’re going to have an emergency?” he said. Well, we might. If politicians won’t respond to a crisis, it’s hard to imagine them deciding to plan ahead to avert one. Political commitment, or lack of it, always rules. The world’s new approach to refugees was born out of Europe’s panic about the Syrians on their doorstep. But no European politician is panicking about South Sudanese or Rohingya refugees — or most crises. They’re too far away. The danger is that the new approach will fall victim to the same political neglect that has crippled the old one. Has this prizewinning author actually been to a refugee camp? Trained to expand their rice and pepper harvests, Congolese refugees in Uganda use earnings to start new businesses and become more self-reliant. PAGRINYA REFUGEE SETTLEMENT, Uganda – Ayen looked directly into my eyes as she gripped her children’s hands tightly, calmly recounting the moment she was forced to flee her home in South Sudan in the middle of the night after rebels murdered her husband and eldest son in her presence. Uganda has been hailed as a world leader in dealing with refugees. African Great Lakes expert David Kigozi argues that praise for progressive policies must be tempered with the harsher reality that many refugees actually experience in the country. In less than a year, a camp in northern Uganda has taken in more refugees than any other in the world, and all of them from war-torn South Sudan. Is Uganda the world’s best place for refugees? 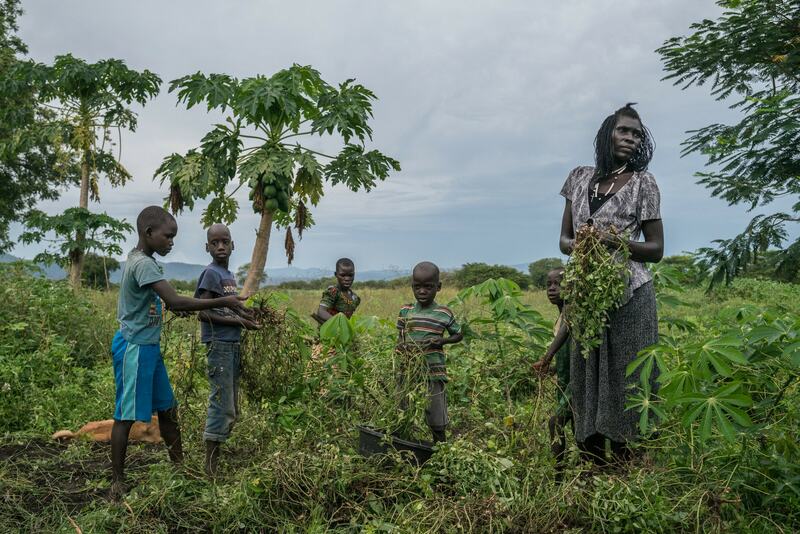 Uganda, the country with the world’s fastest growing refugee burden, is failing to secure the help it needs to care for those forced across the border from South Sudan by war and hunger. How can countries help refugees while also raising their GDP? Let them work. Uganda is an eye-opening example of how displaced people can lift up a nation, say economics professor Paul Collier and refugee researcher Alexander Betts. L’Ouganda est le pays qui accueille le plus de réfugiés. Un million de Sud-Soudanais fuyant la guerre s’y sont installés. Mais cette noble intention des autorités cache aussi des calculs moins avouables : l’arrivée massive de l’aide internationale encourage l’inaction et la #corruption. Luis zappa, prepara dei fori per tirare su una casa in attesa di ritrovare la sua famiglia. Il terreno è una certezza, glielo ha consegnato il Governo ugandese. Il poterci vivere con i suoi cari non ancora. L’ultima volta li ha visti in Sud Sudan. Nel ritornare a casa sua moglie e i suoi otto figli non c’erano più. É sicuro si siano messi in cammino verso l’Uganda, così da quel giorno è iniziata la sua rincorsa. É certo che li ritroverà nella terra che ora lo ha accolto. Quella di Luis è una delle tante storie raccolte nei campi profughi del nord dell’Uganda, in una delle ultime missioni di Amref, in cui era presente anche Giusi Nicolini, già Sindaco di Lampedusa e Premio Unesco per la pace. Modello Uganda? Dell’Uganda il mondo dice «campione di accoglienza». Accoglienza che sta sperimentando da mesi nei confronti dei profughi sud sudanesi, che scappano da uno dei Paesi più drammaticamente in crisi al mondo. Sono 4 milioni le persone che in Sud Sudan hanno dovuto lasciare le proprie case. Chi muovendosi verso altri Paesi e chi in altre regioni sud sudanesi. In questi ultimi tempi arrivano in Uganda anche persone che fuggono dalla Rep. Democratica del Congo. President Trump is vowing to send the military to stop migrants trudging from Central America. Europe’s leaders are paying African nations to block migrants from crossing the Mediterranean — and detaining the ones who make it in filthy, overcrowded camps. But Solomon Osakan has a very different approach in this era of rising xenophobia. From his uncluttered desk in northwest Uganda, he manages one of the largest concentrations of refugees anywhere in the world: more than 400,000 people scattered across his rural district. 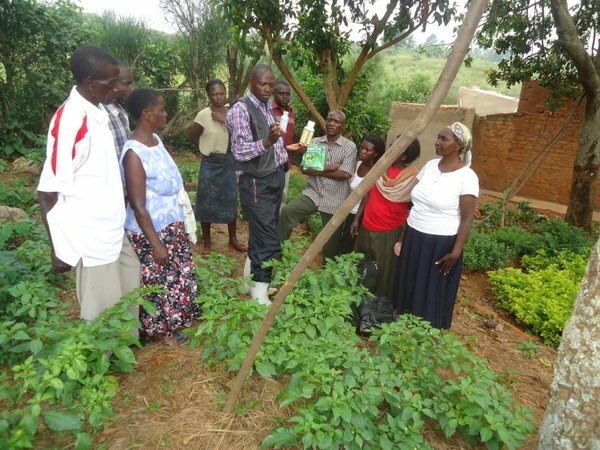 He explained what he does with them: Refugees are allotted some land — enough to build a little house, do a little farming and “be self-sufficient,” said Mr. Osakan, a Ugandan civil servant. Here, he added, the refugees live in settlements, not camps — with no barbed wire, and no guards in sight. “You are free, and you can come and go as you want,” Mr. Osakan added. As many nations are securing their borders and turning refugees away, Uganda keeps welcoming them. And they keep coming, fleeing catastrophes from across this part of Africa. In all, Uganda has as many as 1.25 million refugees on its soil, perhaps more, making it one of the most welcoming countries in the world, according to the United Nations. And while Uganda’s government has made hosting refugees a core national policy, it works only because of the willingness of rural Ugandans to accept an influx of foreigners on their land and shoulder a big part of the burden. Uganda is not doing this without help. About $200 million in humanitarian aid to the country this year will largely pay to feed and care for the refugees. But they need places to live and small plots to farm, so villages across the nation’s north have agreed to carve up their communally owned land and share it with the refugees, often for many years at a time. United Nations officials have pointed to Uganda for its “open border” policy. While the United States, a much more populous nation, has admitted more than three million refugees since 1975, the American government settles them in the country after they have first been thoroughly screened overseas. By contrast, Uganda has essentially opened its borders to refugees, rarely turning anyone away. Some older Ugandans explain that they, too, had been refugees once, forced from their homes during dictatorship and war. And because the government ensures that spending on refugees benefits Ugandans as well, younger residents spoke of how refugees offered them some unexpected opportunities. “I was a farmer. I used to dig,” Mr. Azamuke said. But after learning Arabic from refugees from South Sudan, he got a better job — as a translator at a new health clinic that serves the newcomers. 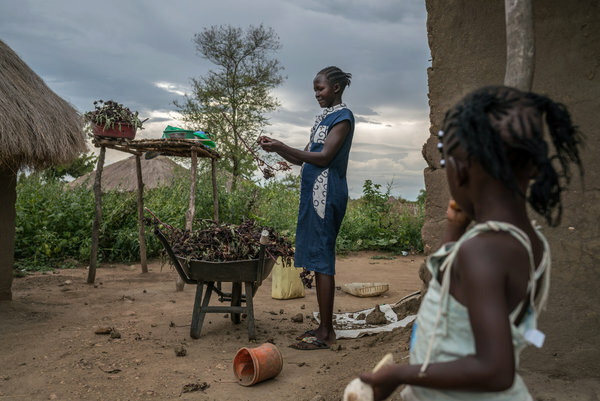 His town, Ofua, is bisected by a dirt road, with the Ugandans living on the uphill side and the South Sudanese on the downhill side. The grass-thatched homes of the Ugandans look a bit larger and sturdier, but not much. As the sun began to set one recent afternoon, a group of men on the Ugandan side began to pass around a large plastic bottle of waragi, a home brew. On the South Sudanese side, the men were sober, gathered around a card game. On both sides, the men had nothing but tolerant words for one another. “Actually, we don’t have any problems with these people,” said Martin Okuonzi, a Ugandan farmer cleaning his fingernails with a razor blade. As the men lounged, the women and girls were still at work, preparing dinner, tending children, fetching water and gathering firewood. They explained that disputes did arise, especially as the two groups competed for limited resources like firewood. And disputes broke out at the well, where Ugandan women insist they should be allowed to skip ahead of refugees. “If we hadn’t given you the land you live on, wouldn’t you be dying in Sudan?” said Adili Chandia, a 62-year-old refugee, recounting the lecture she and others got from a frustrated Ugandan woman waiting in line. Ugandan officials often talk about the spirit of Pan-Africanism that motivates their approach to refugees. President Yoweri Museveni, an autocratic leader who has been in power for 32 years, says Uganda’s generosity can be traced to the precolonial days of warring kingdoms and succession disputes, when losing factions often fled to a new land. The government encourages the nation to go along with its policy by directing that 30 percent of foreign aid destined for refugees be spent in ways that benefit Ugandans nearby. So when money for refugees results in new schools, clinics and wells, Ugandans are more likely to welcome than resent them. For Mr. Museveni, hosting refugees has given him relevance and political capital abroad at a time when he would otherwise have little. A former guerrilla fighter who quickly stabilized much of his country, Mr. Museveni was once hailed as an example of new African leadership. He was relatively quick to confront the AIDS epidemic, and he invited back Ugandans of Indian and Pakistani descent who had been expelled during the brutal reign of Idi Amin in the 1970s. But his star has fallen considerably. He has clung to power for decades. His security forces have beaten political opponents. Freedom of assembly and expression are severely curtailed. Even so, Uganda’s openness toward refugees makes Mr. Museveni important to European nations, which are uneasy at the prospect of more than a million refugees heading for Europe. Other African nations also host a significant number of refugees, but recent polls show that Ugandans are more likely than their neighbors in Kenya or Tanzania to support land assistance or the right to work for refugees. Part of the reason is that Ugandans have fled their homes as well, first during the murderous reign of Mr. Amin, then during the period of retribution after his overthrow, and again during the 1990s and 2000s, when Joseph Kony, the guerrilla leader who terrorized northern Uganda, left a trail of kidnapped children and mutilated victims. Many Ugandans found refuge in what is today South Sudan. Mark Idraku, 57, was a teenager when he fled with his mother to the area. They received two acres of farmland, which helped support them until they returned home six years later. Mr. Idraku has since returned the favor, loaning three acres to a South Sudanese refugee named Queen Chandia, 37. Ms. Chandia said the land — along with additional plots other Ugandans allow her to farm — has made all the difference. A refugee for nearly her entire life, Ms. Chandia arrived in Uganda as a young girl nearly 30 years ago. For years, she worried about being expelled. “Maybe these Ugandans will change their minds on us,” she said, describing the thought that plagued her. Then one day the worry stopped. But Mr. Osakan, the administrator who oversees refugee affairs in the country’s extreme northwest, is anxious. There is an Ebola outbreak over the border in the Democratic Republic of Congo. Mr. Osakan fears what might happen if — or when — a refugee turns up in Uganda with the dreaded illness. “It would destroy all the harmony between refugees and host communities,” he said, explaining that it would probably lead to calls to seal the border. For now, the border is very much open, although the number of refugees arriving has fallen significantly. In one of the newer settlements, many of the refugees came last year, fleeing an attack in a South Sudanese city. But some complained about receiving too little land, about a quarter acre per family, which is less than previous refugees had received. “Even if you have skills — in carpentry — you are not given a chance,” said one refugee, Simon Ludoru. He looked over his shoulder, to where a construction crew was building a nursery school. The schoolhouse would teach both local Ugandan and South Sudanese children together, but the workers were almost entirely Ugandan, he said. At the construction site, the general contractor, Sam Omongo, 50, said he had hired refugees for the job. “Oh, yes,” he exclaimed. “Not a lot, actually,” he acknowledged. “I have about three.” Mr. Omongo called one over. “Are you a refugee?” Mr. Omongo asked the slight man. “No, I’m from Uganda,” he said softly. His name was Amos Chandiga, 28. He lived nearby and owned six acres of land, though he worked only four of them. He had lent the other two to a pair of refugees.